While you can buy Acer computers in the US you have to import its smartphones. This will end in May when the company will launch the Acer Liquid X2. It's a 5.5" phablet with three SIM slots. Three SIM phones are pretty rare, but even dual-SIMs are not that popular in the US. 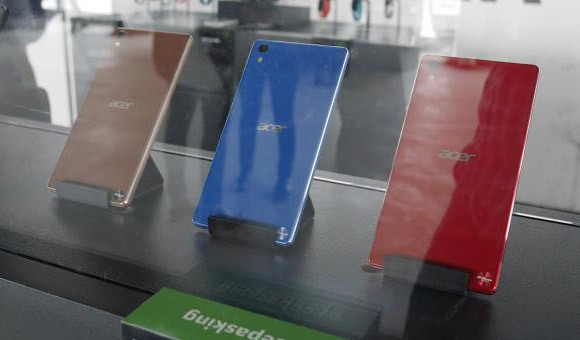 Acer has added a 64-bit octa-core processor, 13MP camera and a massive 4,000mAh battery. The company already has one three-SIM phone, the 5" Acer Liquid E700, but this is clearly a higher-end option. Unfortunately, there's not much more info about the Liquid X2. Acer will be offering Quick Flip covers, which have a tall, narrow window for notification display. The phone is coming in May, hopefully the price tag will arrive a bit sooner. Only 1 sim is supporting 3g/4g. As BestAdvisor said - There is only first slot supports 3g/4g..
Can all 3 sim slot support 3g and 4g lte? It knows if and when it will be sold in Europe? Thank you.